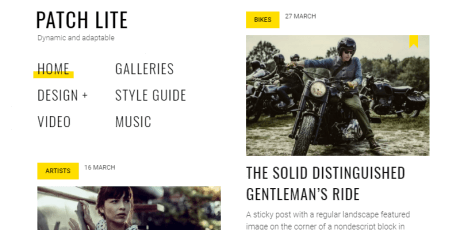 A minimal WordPress theme suitable for blogging, news, magazine or a creative portfolio. 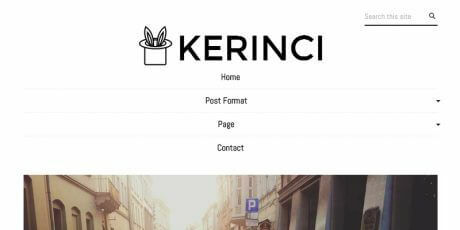 It is responsive with fully customizable options and features like, unlimited color options, 2 header layouts, sidebar layout options, post layout options, single page options, custom page templates, modern and thin font icons. It supports WooCommerce and it's cross-browser compatible. Created by Keonthemes. 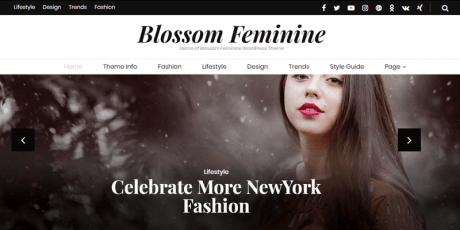 Modern and elegant WordPress Theme, with a clean interface and high customization options. 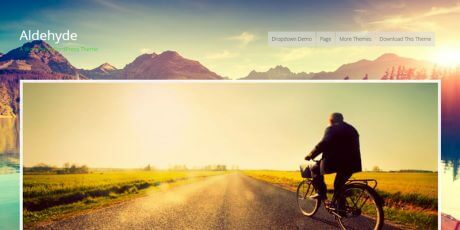 Pinterest-like post sections with animated widgets and a big image slider section on the header. It enables you to make a website from minimal to rich featured and vice versa. Made by Themesaga. 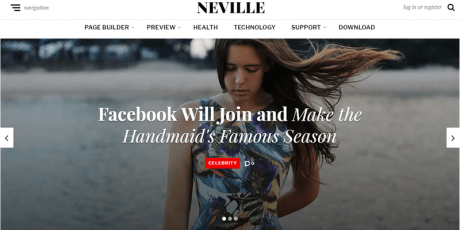 Built for magazine and publishers. It follows all the cutting edge JSON-LD news article structured data, used by renowned websites like NYTimes, Guardian and Independent. 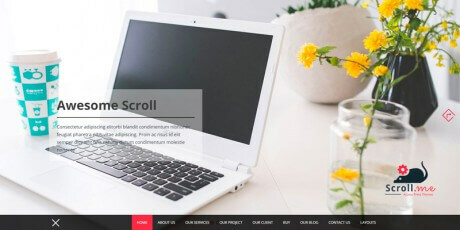 It showcases a big header featuring post sections and smooth easy-in transitions on scrolling. Created by Atlantis Themes. 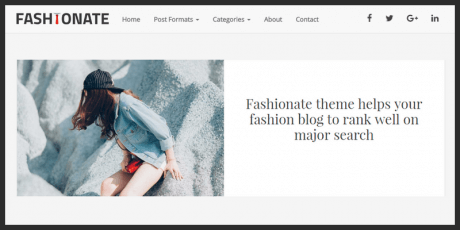 Hive is a top-notch blogging WordPress theme with a special focus on typography and versatile layouts. A great choice for publishers of all kinds featuring a clean layout, modern typography, and flexibility. 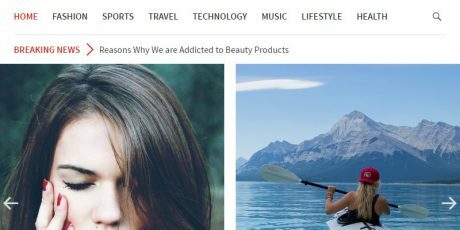 It's 3 column masonry-style layout is ideal for displaying articles, news, product reviews, etc, in a clean and orderly fashion. 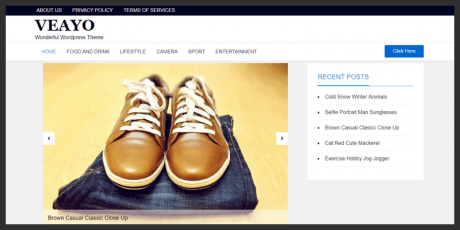 The theme is fully responsive, SEO optimized, and features a sidebar inside of the post details to add whatever widget strikes your fancy. Get the Lite version completely free! 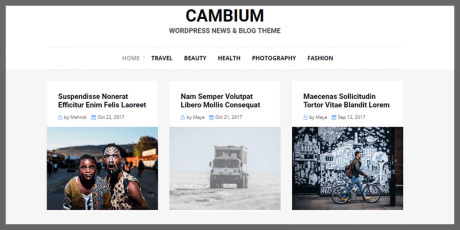 Cambium is a free, modern and fully responsive WordPress blog theme. 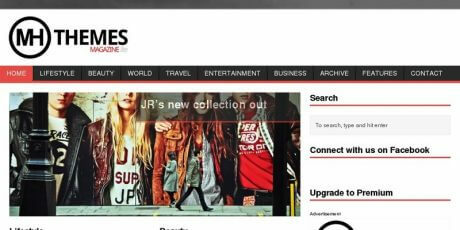 It is crafted for the magazines, news, lifestyle and blog sites. 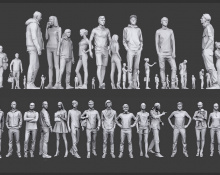 Cambium is packed with an easy to configure customizer options. Cambium has content focused design without any clutter and unnecessary distractions. Clean, a template by CatchThemes is a great looking Portfolio with a super clean and simple interface. 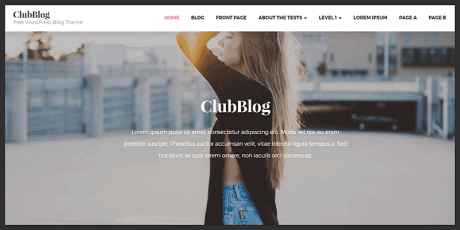 It is completely responsive, includes Theme Options to toggle on and off several layout features, change colors, fonts, logo, favicon, background, and add social links and custom CSS. Neville is a functional and responsive WordPress theme with a ton of great features and design choices that make it a great fit for magazines, newspapers, and news blogs websites, such as an image slider integrated into a neat looking image grid on the home screen, as well as several other grids distributed throughout the layout, several sections to keep articles separated by topic, as well as several columns and sticky elements like social buttons and menus to feature more content. 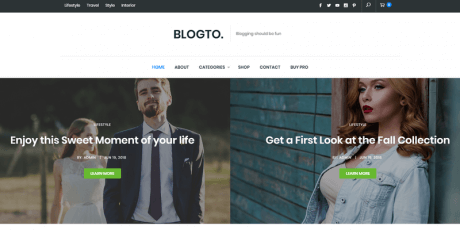 A great looking Wordpress theme by Catchthemes with a compelling photography blog layout, Fotografie allows for a wide range of customization like toggle on and off features, adjust layouts, change colors, fonts, logo, favicon, background, add social links and custom CSS. 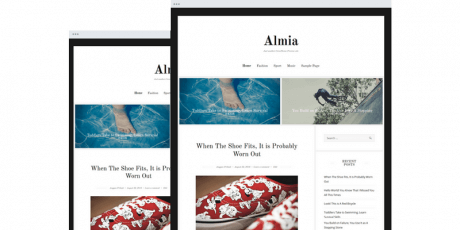 Almia: a versatile solution for your Blog, Magazine, or related website. Featuring a clean and beautiful and a great selection of customization options, Almia provides just what you need for creating an amazing website experience. 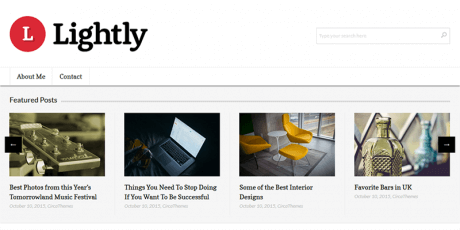 Share content, engage readers and watch your readership grow with this flexible blogger theme. 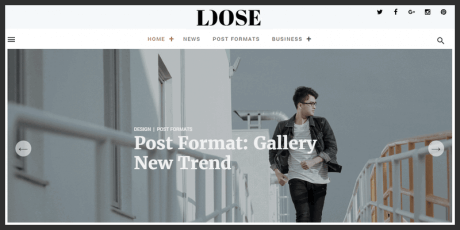 Loose, a simple and elegant WordPress blog theme FatThemes. 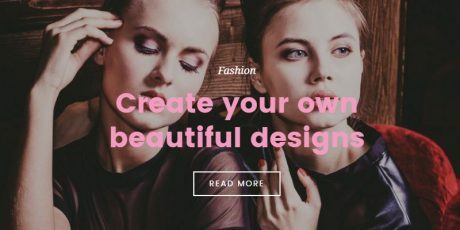 Its modern layout is ideal for showcasing videos, articles, photos and more, and makes it a rather good fit for a fashion magazine or blog site. 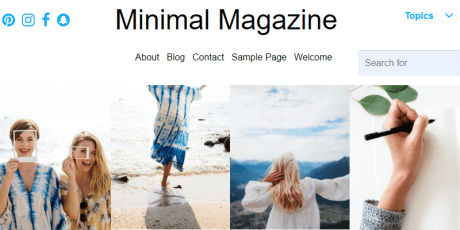 A free minimal WordPress theme that can be used for both magazines and news sites. 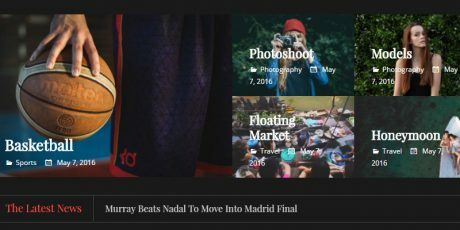 It has a stylish responsive layout, including a three image slider, categories for each topic and custom widgets to make the most of it. 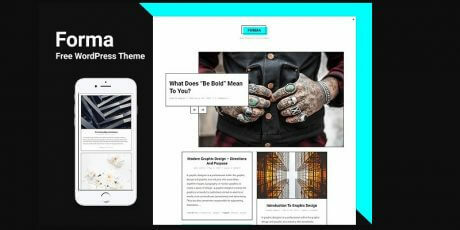 Fluid is a compelling magazine-focused WordPress theme with a responsive interface, social media integration, widget areas, biography for the author, translation, SEO optimized, and clean code. 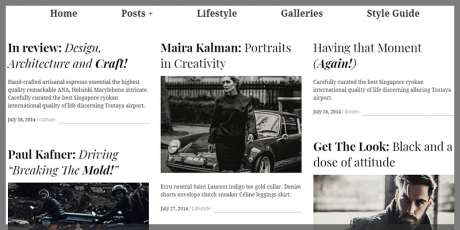 A flat WordPress theme for magazines and digital media. Its style is flat, making use of some cool material design elements. 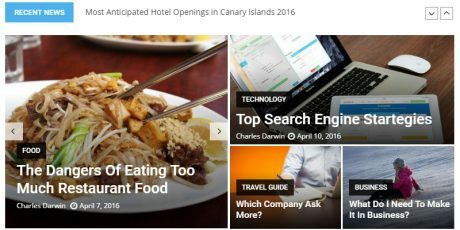 It can be focused on any topic, but it works nicely as a collection of news about various topics. 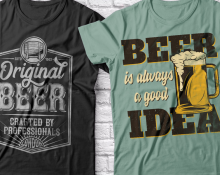 The theme is GPL licensed and you can use commercially. 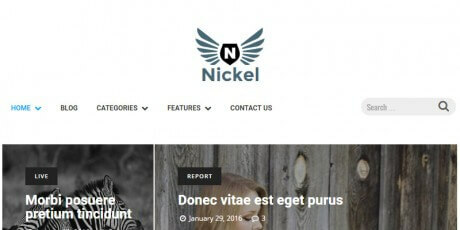 Nikel is a magazine WordPress theme. 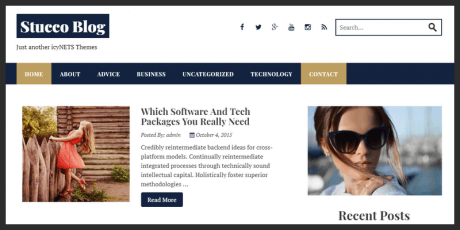 The theme is predominantly white, conveying a clean and trustful look, and it suits newspapers, editorials, and publishing agencies perfectly. It is distributed under the terms of the GNU GPL license. 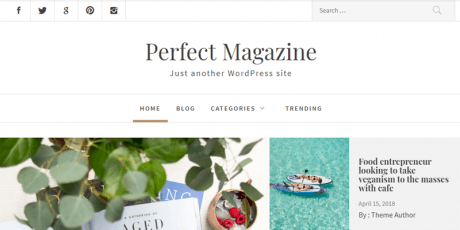 A WordPress theme with a beautiful and clean design that lets you navigate horizontally, including a customizer panel, it is perfect for business, web agency, personal blog, portfolio, photography, magazine and much more. 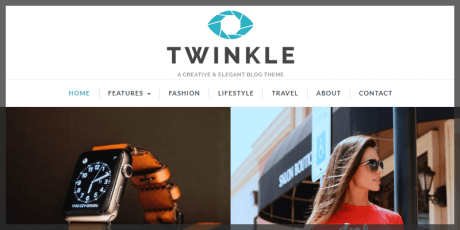 A WordPress theme showcasing a clean and flexible design with a central column that can be used for a huge variety of purposes, it includes a complete control panel plenty of options to create exactly what you want. 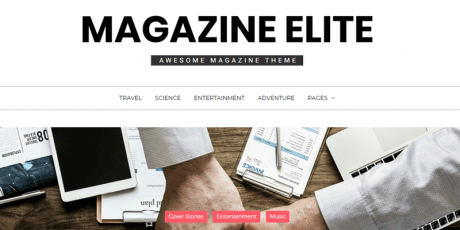 A free WordPress theme for magazines, newspapers and professional blogs. 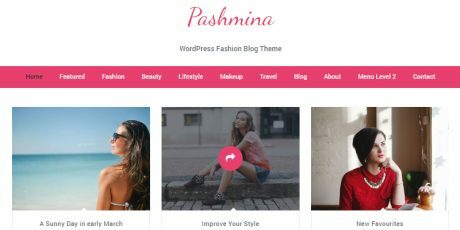 It is fully responsive and built on Customizer tool, which allows you to alter most of the theme settings easily with live preview. It has a cool design, great performance, and speed, support, lite code, and more. 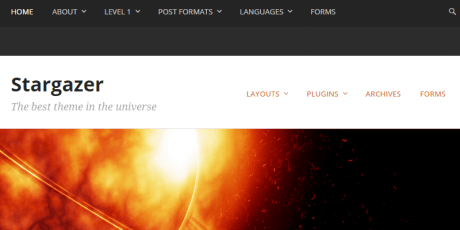 Typecore is a WordPress theme that presents quite a unique layout that segmentates the website in 3 main sections: Recent, featured, and what's hot, in three fully organized columns, perfect for blogging, news, or magazines. 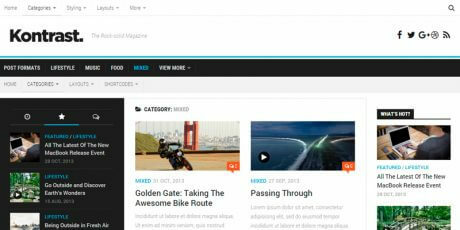 Aqueduct is an easy to use minimalist magazine/blog theme for WordPress, it is ultra-SEO friendly to boost your search ranking with features such as: schema markup, fast loading, responsive design, Woocommerce & Bbpress ready, among others. 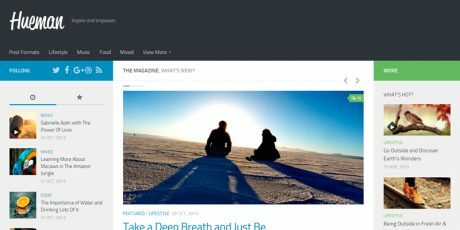 Accesspress Mag is a magazine and news-focused WordPress theme perfect for both big media sites and small blogs. It supports a wide variety of formats like images and videos, and more. 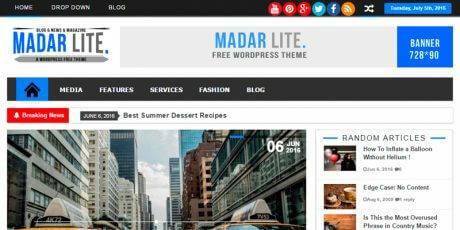 It is a cutting-edge, feature-rich free WordPress theme, that's also fully responsive. 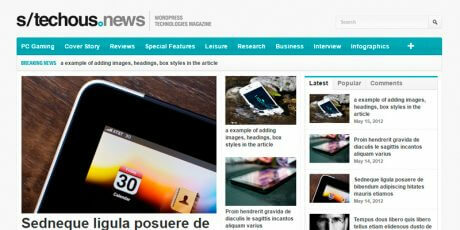 A compelling magazine and news WordPress theme. 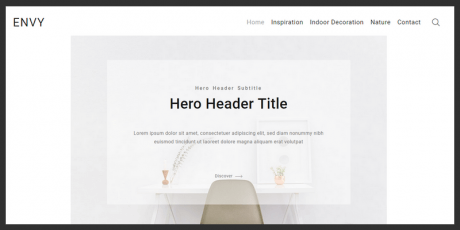 The theme consists of a set of components mixed harmoniously, including a simple slider, a content roll, widgets, several news areas, top menu, logo area and widgetized footer. 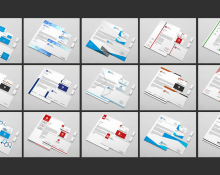 You can download this theme for free and use it on your personal and professional projects. 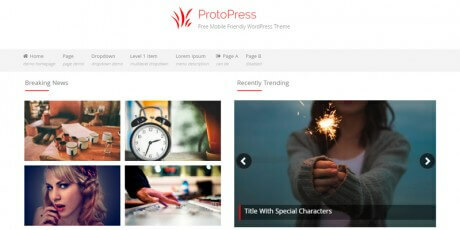 ProtoPress is a clean WordPress Theme for magazines and news sites. It has two menus, one on top and other right after the logo area, and it also has a featured news slider and widgets for more content. The theme comes as a light version that can be downloaded for free but you can also aquire a paid version with extended functionality. 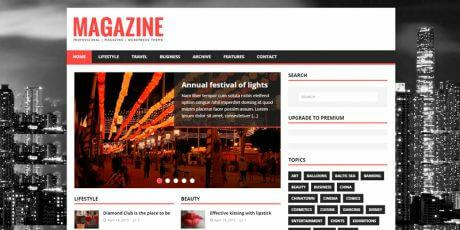 Anderson is a clean and elegant magazine theme suitable for any kind of content related website. 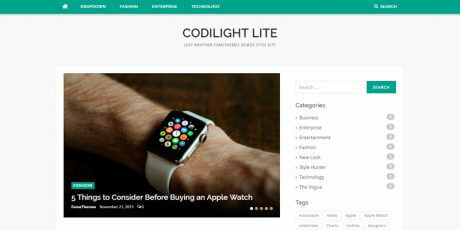 The theme comes with a fully responsive layout and a sleek featured post slideshow. 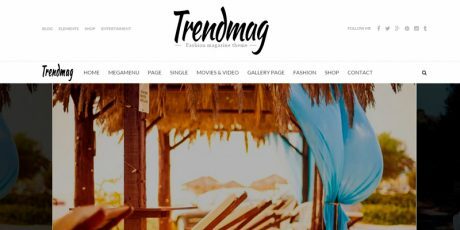 The user-friendly and flexible theme options supporting the powerful Customizer allow you to setup your magazine website in only a few minutes. 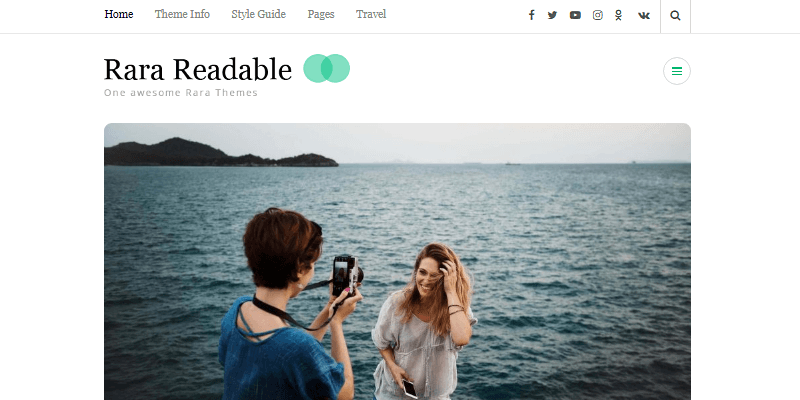 A nice flat and responsive WordPress theme, composed of a main menu, slider, content area and footer widgets. 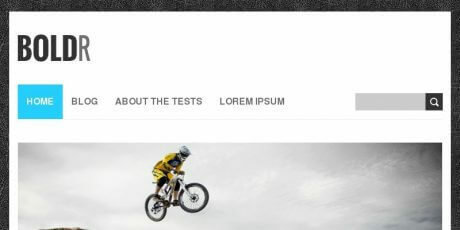 The theme has a simple design so the users can focus their attention on the contents instead of distracting elements. 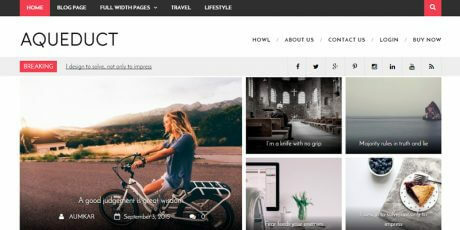 This theme called Great is a marvelous option with a traditional feel, perfect for magazines or news sites. 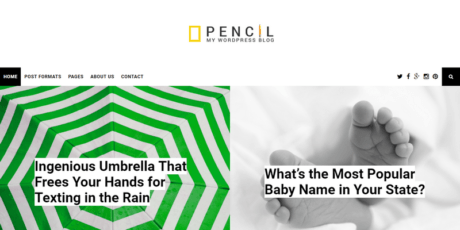 It has a minimal style, with clean design elements to make the site stand out. 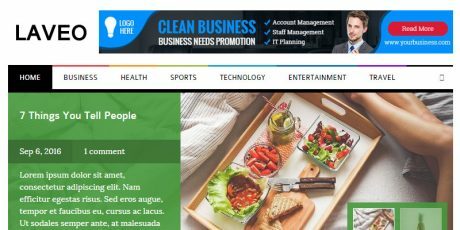 Among its features, we have unlimited color schemes, custom widgets, related posts, SEO integration, translations, options panel, ads management, background images and colors, among many more. 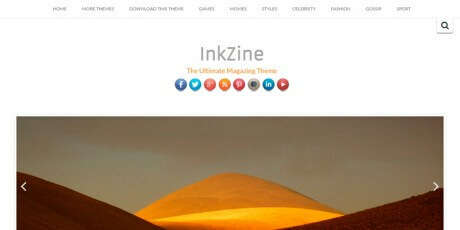 The InkZine is a compelling WordPress theme built with Bootstrap 3.0 and using a responsive layout. It includes Font Awesome icons, which work great in retina displays. It also uses Modernizr to achieve compatibility with older browsers, and has custom header support and parallax effects, social icons, translations, featured images, cool animations and much more. Here we have a responsive WordPress theme, perfect for a magazine or a digital newspaper, based on the powerful Icefit framework. 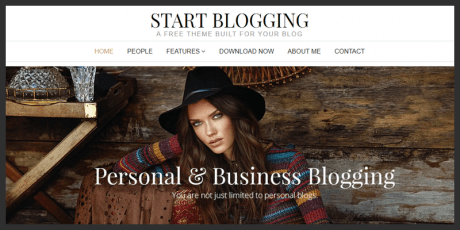 This theme is oriented towards blogs and creative business websites. 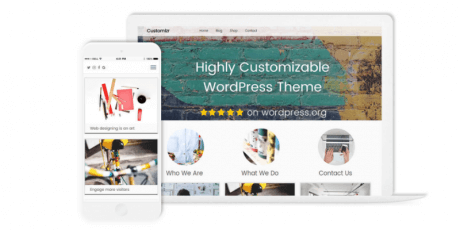 It allows you to create a compelling website in minutes thanks to a layout builder, and be able to show it to the world since it has full browser support and responsiveness. 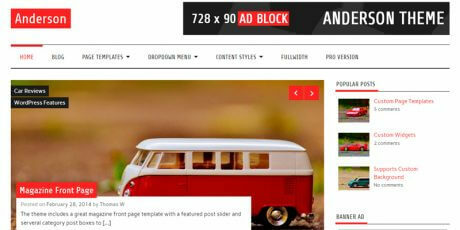 This is a fully featured, responsive, high resolution theme perfect for magazines or blogs. 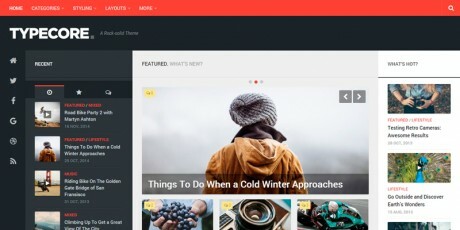 With this theme, you can present what you love to write about, in a visual and user-friendly way on all devices. 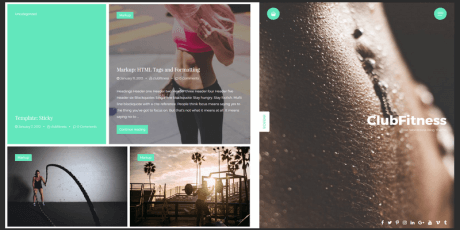 It fits with the screens of all devices, styling options, flexible layout, integrated widgets, related posts, featured slider, social links and many more. 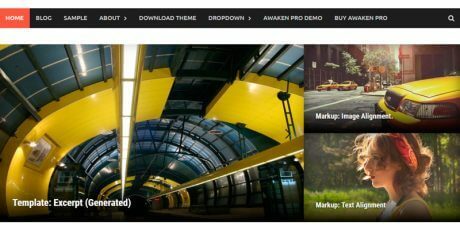 This theme, built on the Hybrid Core framework, is a simple WordPress theme without complicated settings. It has a built-in theme customizer for you to modify the theme as you like, using precise tools for this purpose. 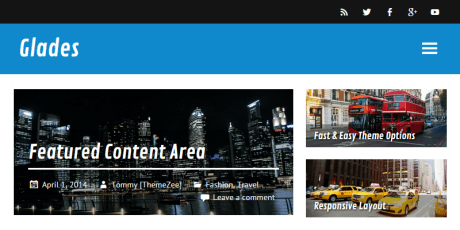 The theme is responsive, has an accurate visual editor, complete support for images, video and audio handling and multi-language. 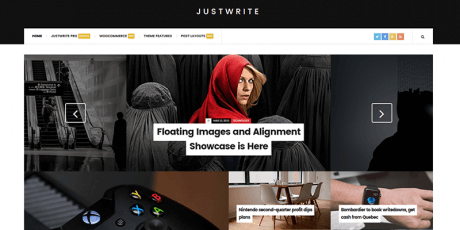 A sober theme that works well for serious endeavors such as company websites or professional portfolios. 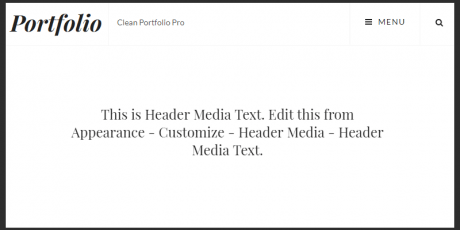 It includes interesting customization options: Five color settings, two portfolio layouts, a blog template and a practical slider that can display videos and change pictures automatically. 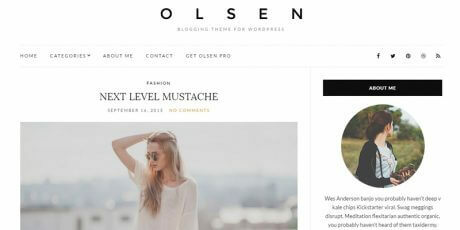 A WordPress theme with tons of features and a sober amazing design. 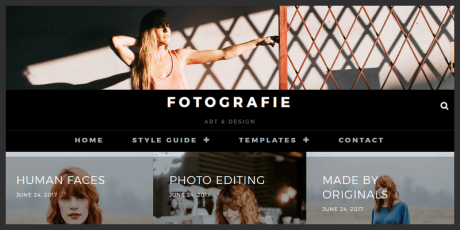 Homepage’s layout includes a Slider, 2 types of Masonry layouts, Recent posts from categories, Advertising, Archives, Popular Posts; alongside a tight-tile header.